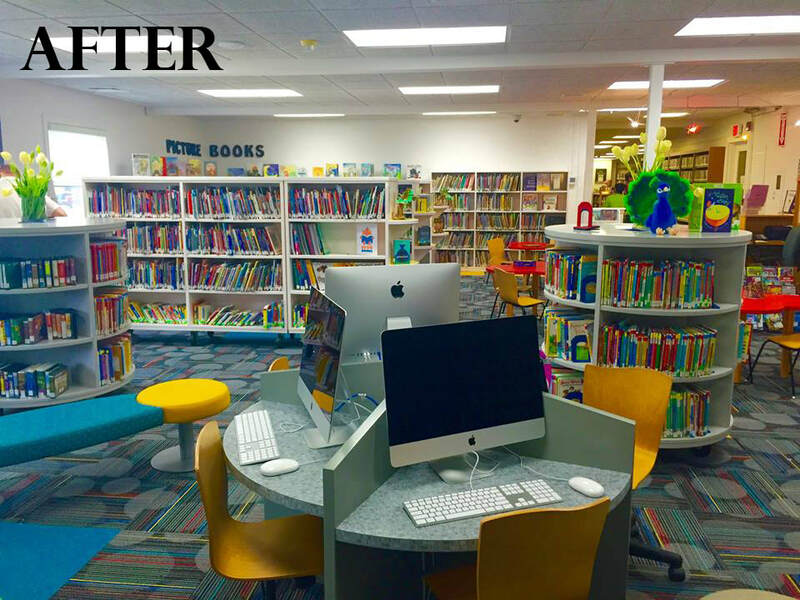 During my six years at Lee Memorial Library, I worked in several different positions; however, the majority of my time was spent in Youth Services. 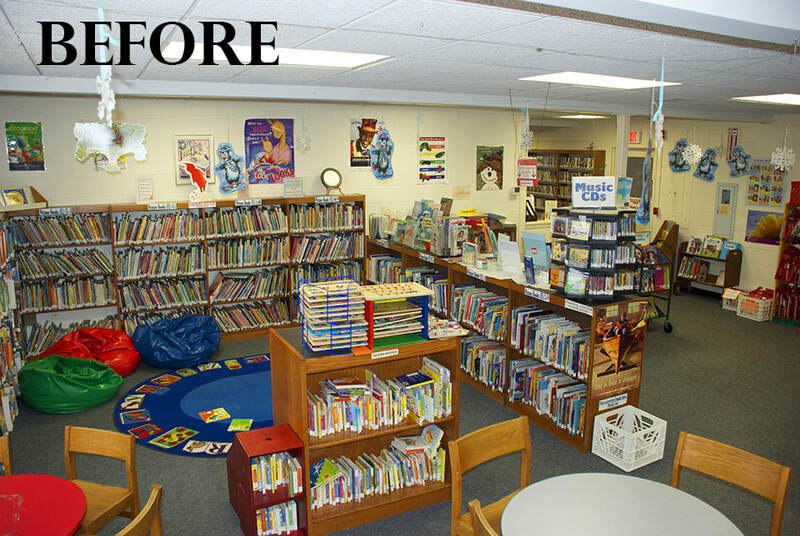 One of our most pressing problems was an outdated children's room. We were fortunate enough to create a new young adult area in 2012, but this upgraded space drew more attention to the dilapidated kids' area. So, I began working on renovation plans. Work began in earnest in 2013, as I worked with my then-director to create a wish list of essentials for the new room. Once I was promoted to Director the following year, I worked with my board's facilities committee to select a designer whose vision best suited our desired aesthetic. From there, I coordinated a variety of subcontractors to do the work. 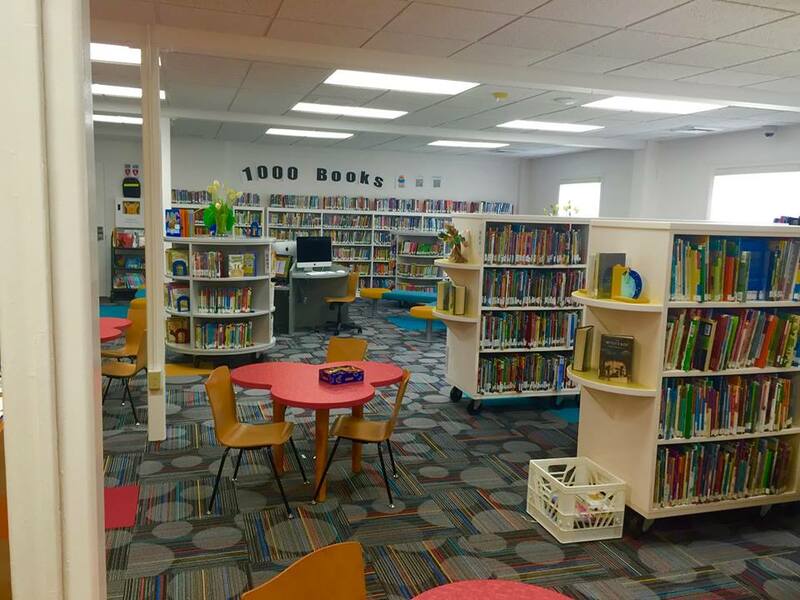 Throughout the planning stages, I served as the point person for all vendors and facilitated conversation between the committee, the board as a whole, and our Friends of the Library, who were funding the project. Although I accepted a new job at another library before the physical work began, I ensured prior to leaving Lee Memorial that all details were ironed out and ready to go. This included making the final selections for furniture, carpet, paint, technology, and more. I also worked with our youth services librarian to create a plan for how our juvenile collections would fit in the new space. Despite the long road to completion, the project was a success. Although I had previously worked in libraries during building projects, this was my first time supervising a renovation. As a result, I gained invaluable experience with project management, design thinking, and strategic planning. Before and after shots are visible to the right.